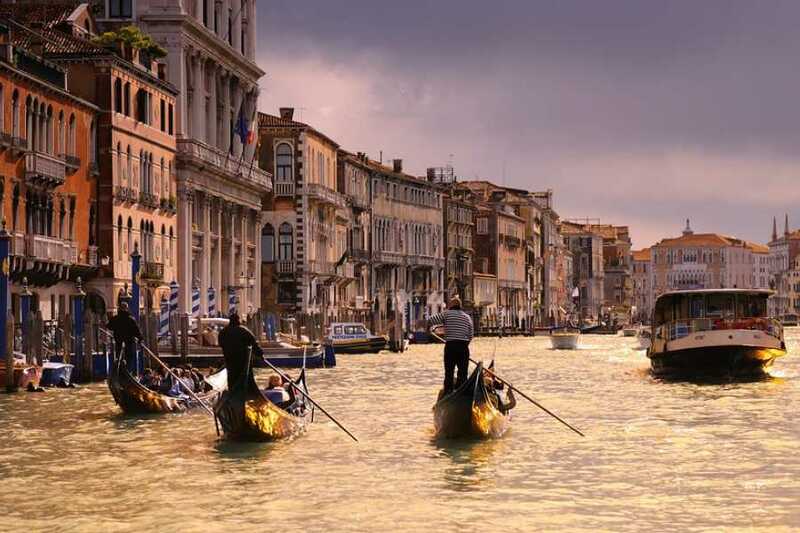 A romantic “promenade” by gondola (about 30 minutes), the famous and elegant way to cross the Grand Canal. 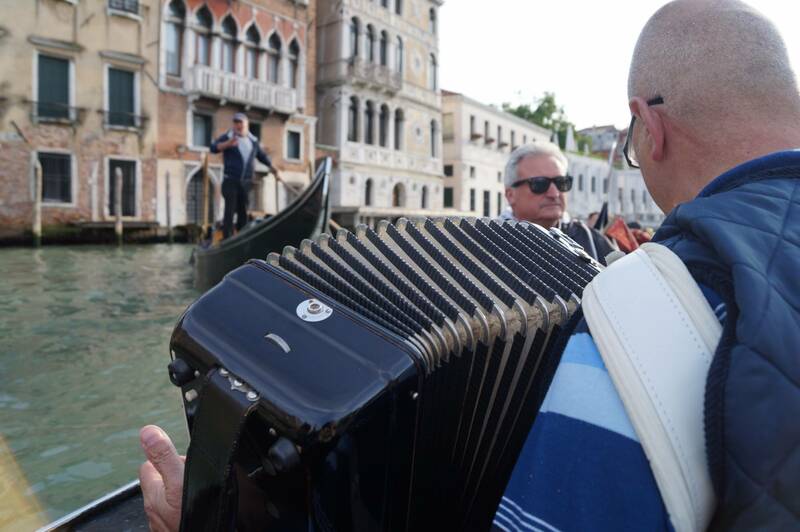 You get on this special boat to reach the Grand Canal through the small and secret canals and majestic palaces while musicians and singers perform popular Italian songs. 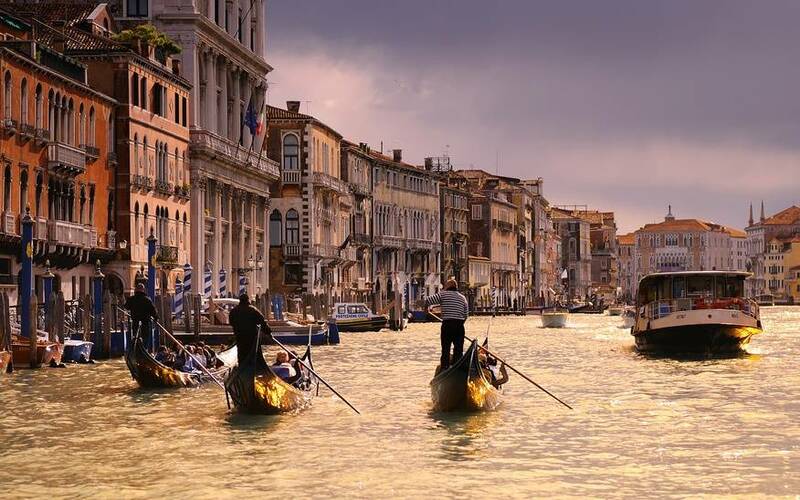 A suggestive experience that allow you to admire some of the most important attractions of the city: Peggy Guggenheim Collection Palace, Accademia bridge, La Fenice Theatre, Basilica di Santa Maria della Salute. You will breath the atmosphere of the most ancient city in the world built on water. Venice Goes App is an innovative mobile app (included in the price) that you can download easily on your mobile, click here to know how to get it. Don’t miss this unmissable opportunity! 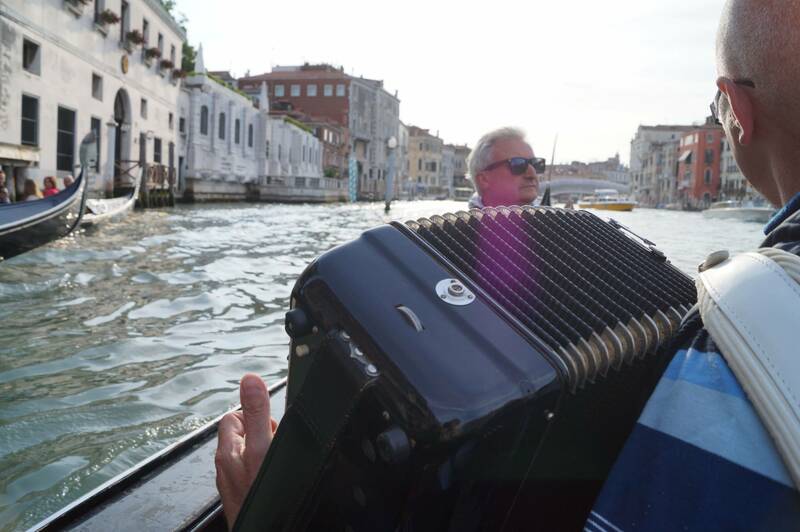 After the gondola serenade you will touch the sky with a romantic dinner in a lovely Venetian restaurant. Meeting point: Campo Santa Maria del Giglio (near Gritti Palace). Please be there 15 minutes before the departure time. 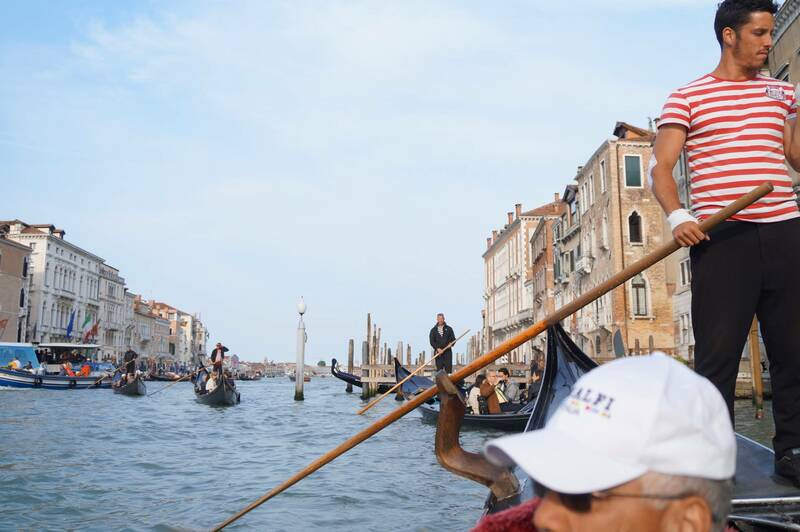 Go direct to the gondoliers for the check in. 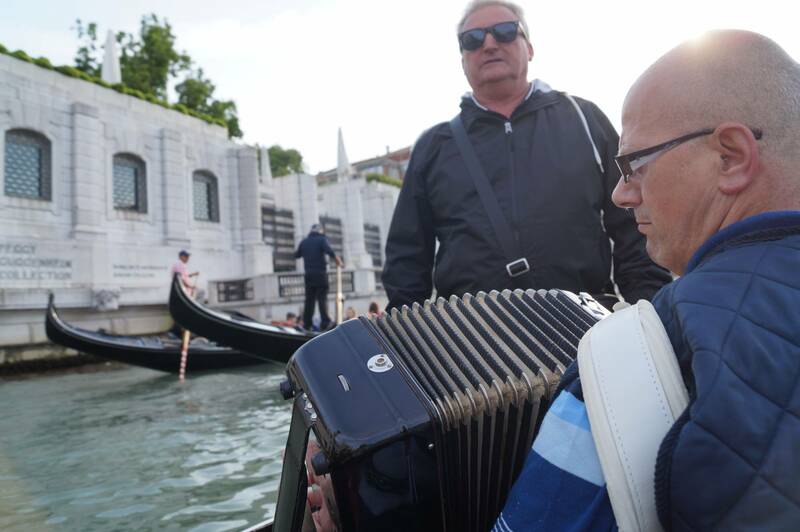 Departure: Gondola Serenade – from April 1° to 31° October at 6:30 PM or 7:30 PM. From November to March at 3:30 PM. Dinner from 6:00 PM to 9:00 PM. Gondola Serenade & CLASSIC menu: € 98,00 per person: Restaurant SANTO STEFANO. Gondola Serenade & DELUXE menu: € 120,00 per person: Restaurant SANTO STEFANO. To know better the menu click here. Free under 2 years ONLY if child does not occupy its own seat on the gondola. Any purchase at the restaurant for children under 2 years shall be paid directly on the spot. Voucher: clients should have TWO different vouchers to show: one at gondola station in Santa Maria del Giglio and the other to the restaurants SANTO STEFANO or AI CORISTI. The choice of the menu shall be clearly specified on the voucher. Mobile vouchers are accepted.